You might not know it, but Facebook could have just read the latest conversation you had with your close friend. Or at least, a software monitoring system used by them did. The social networking giant has confirmed that it is uses a computer program to scan chats and messages sent between users for possible activities of sexual predators. This was disclosed after Reuters reported an incident involving a man in his early thirties and a minor. According to the report, Facebook’s software flagged the man’s conversation with the girl as possibly criminal and reported it to Facebook’s employees, who in turn called the police. The software scans for prohibited words and phrases, the exchange of personal information, requests for sexual favors, and conversations with sexual tones between adults and minors. The program flags conversations like these for possible action. While this is good news to parents who want to protect their children against online sexual predators, the same scanning activity has sent off warning bells with privacy advocates. Not only that, analysts also believe that such control can negatively impact a site’s membership. 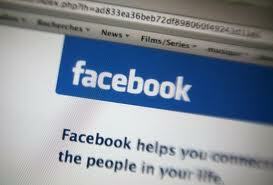 Facebook is not alone in its efforts to block or catch online activities of sexual predators. Organizations like Second Life, Time Warner’s Disney, and other smaller sites catering to children and minors are actively implementing defenses to protect their site’s members against sexual predators. The question now is whether the public should thank Facebook for its active involvement in policing the online activities of its members, or should we fear another wave of intrusion into our private online communication.